I have seen lots of confusion in various threads, that How and Why a textbox persists data even when View State is set to off. Even I was confused earlier but I tried to discover it and I found the root cause, so sharing it to you all. For that, first let’s see the page life cycle on postback. Now lets first discuss about the View State, How View State works? If View State is on for any control, during LoadViewstate, the View State data that got saved last time , gets populated in the control. And in last, the SaveViewState method of every controls that are part of the control hiearchy, gets called and combined View State of all the controls gets base64 enocoded and saved. So as we know the page is recreated every time page makes a trip to the server, the data persistence is done with the help of viewstate. Now here the point that are we are going to discuss, even if we set off the View State of some controls like textbox, checkbox etc.. the data persists during postback. ASP.NET uses this primitive to update the control’s value. ASP.NET uses IPostBackDataHandler for the controls that load the data from the form collection. 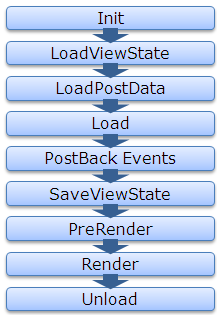 As from the Page Life Cycle, we can see LoadPostData is called after the LoadViewState, whether viewstate is on or not, it gets populated from the posted data. That’s why the data get persisted even if viewstate is set to off for few controls. Following is the complete list of the controls, those implement IPostBackDataHandler. I think, this must have helped many of you overcome from this hazzy picture. 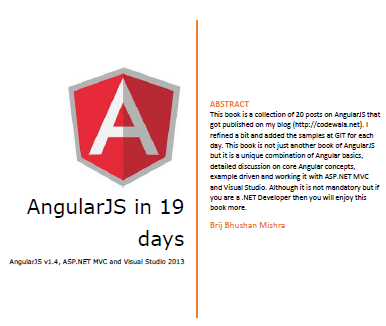 In this Article, I am going to explore the Viewstate. View state is one thing that always I liked to use. It makes our life easier. As we all know that Viewstate is one way of maintaining the states in the web applications. As we know, a web page is created every time when a page is posted to the server.It means The values that user entered in the webpage is going to be vanished after the poastback or submit. To get rid of this problem, ASP.NET framework provides a way to maintain these values by virtue of Viewstate. When we enable the viewstate of any control, the value is going to be maintained on every postbacks or server roundtrips. But how these values get maintained? It doesn’t come free.View state uses hidden valriable that resides on the page to store the controls values. It means that if a page have lots of controls with viewstate enabled the page size would become heavy, in several of kilobytes ie it will take longer time to download.And also on every postback all the data is posted to the server i e increasing the network tarffic as well. As in new era application, we use lots of heavy controls like gridview etc, on our page which makes page size exponetially heavy.It is always recommended to use viewsate judiciously and even some programmers try to to avoid using this cause of performace overhead. Here , I am going to discuss how we can reduce the performance overhead caused by viewstate. n our new era application, we generally have lots of rich and heavy controls on our page and also provide lots of functionality on the page with the help of few latest technology AJAX etc. To accomplish our task we use Viewstate a lot but as we know it doesn’t come free it has a performance overhead. * Aanother way to store the view state at some other server say on web server. We can compress the viewstate to reduce the pagesize. By compressing the viewstate we can reduce the viewstate size by more than 30%. But here the question arises, where to compress and decompress the viewstate. For that we have to dig into the Page life cycle. As we know, viewstate is used by the ASP.NET to populate the controls. So we should compress the viewstate after all the changes are done in the viewstate and saving it after compression and we have to decompress the viewstate just before it is used by asp.net to load all the controls from viewstate . So lets jump to thepage life cycle and see our we can fit our requirement. As we can see there are two methods,One SaveViewState that is responsible for collecting the view state information for all of the controls in its control hierarchy in this method and persist it it in __viewstate hiddenform field. The view state is serialized to the hidden form field in the SavePageStateToPersistenceMedium() method during the save view state stage, and is deserialized by the Page class’s LoadPageStateFromPersistenceMedium() method in the load view state stage. So here in these methods we can compress and decompress the viewstate. Lets take a pictorial view. So here, we need to override the methods SavePageStateToPersistenceMedium()for compressing the viewstate and SavePageStateToPersistenceMedium() for decompressing the viewstate. Here I am going to use GZip for compression that is provided by the .NET itself.And this is available in th namespace System.IO.Compression….